WHY WE LOVE CHRISTMAS AT THE BELFRY! As the festive season approaches, we’ve been thinking about all of the things we love the most about Christmas here at The Belfry Hotel & Resort. 2016 is already shaping up to be a memorable Christmas – we have a whole host of dining options, party events and family breaks lined up. So eat, drink, and be merry – The Belfry has it all this Christmas! Seasonal dishes are certainly a highlight for many people when it comes to the most wonderful time of the year – after all, ‘tis the season to be indulgent! 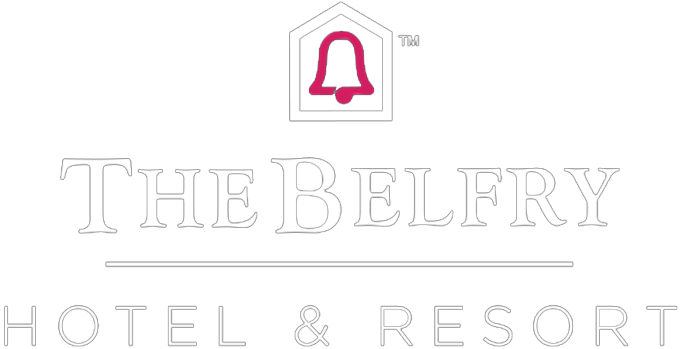 At The Belfry we have a number of great dining options available throughout the month of December. It all starts off with delicious, festive Sunday lunches with full trimmings taking place every Sunday throughout December at the Ryder Grill. If you’re looking for something a bit lighter, why not join us for afternoon tea with a festive twist at the Brabazon Bar including seasonal sweets such as almond crumble mince pies and mulled red wine fruit cake! When it comes to Christmas food, there’s nothing better than a big Christmas Day feast! Join us for our classic Christmas lunch served in the beautiful Woodland Suite. Drinks will be served at 12.30pm before tucking in to three courses of delicious Christmas food with all the festive trimmings at 1pm. Take a look at our Christmas brochure for the full list of options for the Christmas day meal. December marks the beginning of the party season and an opportunity to let your hair down and enjoy yourself. Whether you’re planning on celebrating with friends, family or colleagues, we’ve got the entertainment in place for you. Our Christmas party nights are ideal for your office night out with a great time guaranteed in one of our dedicated party suites. Party packages include a glass of fizz on arrival, a 3 course set menu and a DJ to get you in the party spirit. Entry into Bel Air Nightclub after midnight is also included for those that want to dance the night away! We’re known throughout the Birmingham area for our tribute nights and we’re ramping things up this Christmas with a couple of cracking acts taking you back to the 90s. Get ready to ‘spice up your life’ on the 16th of December with our Spice Girls tribute act. If that’s not to your taste, have a little patience and wait till the 17th of December when our Take That tribute act will be taking the stage. Whichever night you choose, there will be a glass of fizz on arrival and a delicious festive hot and cold buffet. All of these parties build up to the biggest night of the year – New Year’s Eve. Get glammed up and head to the Woodlands Glittering Gala Ball which includes dinner in the beautiful Woodlands Suite with live music and a DJ. We’re also holding black tie balls in the Warwick and Wishaw suites, so there’s plenty of room for everyone! A ticket to each of these events also includes an overnight stay in one of our signature rooms. The place to be after midnight is undoubtedly Bel Air nightclub where a top DJ will be bringing in the New Year in style. New Year at Bel Air is one thing you definitely don’t want to miss out on! Spending time with family and loved ones is what Christmas is all about. Christmas is of course a very special time for children so what better way to let them enjoy the magic than a special lunch with Santa? Taking place on the 10th and 17th of December, you and your children can enjoy a delicious festive buffet lunch with Santa dropping by to deliver a gift for each child! The festive period also offers a great opportunity for a short break with the family and where better to spend quality time together than in the idyllic Warwickshire countryside. There are a number of great value family Christmas break options on offer that include Christmas activities for children in our Christmas room in the Sutton Suite. While it’s always nice to receive lots of lovely presents at Christmas, giving them is often equally satisfying. Last year we held our first “12 days of Christmas” Twitter competition and gave away a great range of prizes, including a luxury Fire and Ice spa experience. We’re excited to announce that we will be running the 12 days of Christmas competition again this year so make sure you’re following us on social and keep an eye out for further announcements! Christmas is also the ideal time of year to raise money for charity and last year our team managed to raise a whopping £500 from our Christmas jumper day! For more information on all our Christmas offers, events and breaks then visit our Christmas and New Year page or take a look at our Christmas brochure. We look forward to welcoming you!